A DPMS Oracle AR-15 semi-automatic weapon was reported stolen during a residential burglary in October. Park Forest, IL—(ENEWSPF)— New this month: burglary reports, filed as a separate story. Under our new arrangement with the Park Forest Police Department, these reports are sent separately. 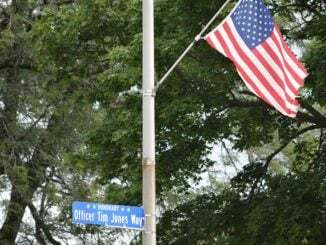 An officer was dispatched to the Park Forest Police Department on October 8 to speak with a complainant regarding a delayed residential burglary that occurred in the 200 block of Arrowhead Street. The resident had gone on a vacation and, upon returning home, observed that the east side door and window to his residence were left open. When he searched the interior of the home, he observed that a canvas rifle bag from a bedroom was missing. Inside the rifle bag was a DPMS Oracle AR-15 carbine, a 60-round ammunition drum for the AR-15, a black Springfield Armory XDS .45 caliber handgun, seven ammunition magazines for the .45 XDS, the resident’s Illinois FOID card, and the resident’s conceal carry license (CCL). The DPMS Oracle AR-15 is listed as a semi-automatic weapon, “built to bridge the gap between the Sporting and Tactical markets,” according to the manufacturer. The magazines for both stolen firearms were loaded to full capacity, according to the report. The resident also discovered that several outer window screens were removed from the windows. Also, a weed Wacker, hedge trimmer, and chainsaw were missing from the detached/unlocked garage. The resident said that he did not have the serial number for theAR15. He told police where he purchased it from. He said that he had since made several modifications to the rifle and he estimated the value of the rifle to be around $2600. The handgun cost $500. An officer was dispatched to a residence in the 100 block of Illinois Street on October 3 to investigate a report of a burglary to a motor vehicle. The complainant spoke with police and said that someone entered his unlocked vehicle and stole a pair of black, generic brand sunglasses and $25 cash from the center console of the vehicle. 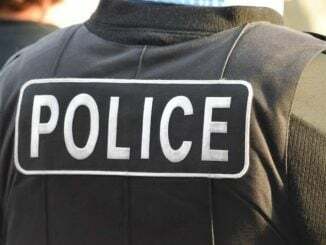 The complainant further related that, upon initially approaching the vehicle, he observed that his wallet was lying on the ground next to the front driver’s side door. The incident was turned over to detectives. An officer was dispatched to the 100 block of A Street on October 3 to investigate a report of a burglary to a motor vehicle. The complainant reported that someone entered his unlocked vehicle and stole approximately five dollars in coins from the center console cupholder. Two black Dr. Dre Beats factory speakers; red and white Nike Air flip-flops (size 9 1/2); and a green and black hoodie with “Black Pyramid” on the hood were also stolen. The offenders gained entry to the trunk by pushing the trunk release button, according to police. An officer was dispatched to the Park Forest Police Department on October 3 at 6:23 PM to investigate a delayed report of a burglary to a motor vehicle. The complainant said she parked her vehicle in the driveway of her residence in the 100 block of Well Street the night before, and the doors may have accidentally been left unlocked. At 7 AM, she entered the vehicle and observed several items from the glove box and center console armrest strewn about the interior. She observed that a black CD book containing approximately 10 miscellaneous CDs or more was stolen from the center console armrest. Also, a white Samsung tablet was stolen from the glove box, along with a folding knife. A Brigs and Stratton lawn mower valued at $200, a Black and Decker electric blower valued at $240, a Brigs and Stratton edger valued at $150, a Black and Decker electric drill valued at $140, a Makita saw valued at $75, a barbeque grill valued at $400, and a 32-inch Samsung TV were reported stolen from inside the garage of a residence in the 400 block of Sandberg Street on October 4. The complainant noticed the burglary upon seeing damage to the garage door and that a window to the garage had been removed. A 32-inch black flatscreen television and a 50-inch black flatscreen television were reported stolen from a residence in the 200 block of Indiana Street on October 4. Police were dispatched to the residence to investigate a delayed report of a residential burglary. Two other items, a 17-inch Lenovo laptop and a Samsung galaxy 6 or later located inside a black pillowcase inside the home. Police were dispatched to a residence in the 400 block of Rutledge Street on October 5 to investigate a delayed report of a burglary to a motor vehicle. A Canon camera, two Canon camera lenses, one pair of red, black, two pairs of Jordan brand gym shoes, a set of Pink Beat headphones, a package of medication, a Nike brand headband, and federal tax information were reported stolen. The owner of the vehicle did not call police right away because she thought all she had to do was contact her insurance company, according to police. She further advised that the vehicle had been secured. An officer checked the vehicle and found no signs of forced entry. Previously, on October 3, an officer had responded to the 400 block of Rutledge Street and located several items on the ground between two houses. The officer at the time could not find the owner of the items, so the items were placed into temporary evidence. The owner of the vehicle responded to the Park Forest Police Department and identified a cell phone case, pepper spray gun, and a Bible as items missing from her car. A 43-inch RCA flatscreen LED television valued at $289.99 was reported stolen from a residence in the 400 block of Niagara Street during a residential burglary on October 5. The complainant at entered the house, saw that the television was missing, and immediately exited the residence. While doing so, she realized that the screen to her kitchen window was missing. A Sony PlayStation 4 game console and a backpack were reported stolen from a residence in the 200 block of North Orchard Drive on October 8. The resident had been gone from the house approximately four hours. When he returned home, he noticed that the front door window glass had been broken and the door forced open. Every room in the house had been ransacked, according to the report. Police were dispatched to the 200 block of Minocqua Street on October 9 to investigate a house that had been burglarized. A stove, washing machine, dryer, refrigerator, and a vacuum cleaner were reported missing. The total loss value was estimated at $1000. An officer was dispatched to the 100 block of Walnut Street on October 12 to investigate a delayed report of a burglary to a motor vehicle. The complainant reported observing that her glovebox had been opened and several items scattered around the front driver and passenger seat of the vehicle. A wallet was reported missing which had been on the floor near the driver’s seat. An officer responded to the Park Forest Police Department on October 15 for a delayed report of a burglary to a motor vehicle. A white iPhone 6 that had been left in a box on the rear passenger seat of the vehicle was reported stolen. A purse was also taken from the vehicle. There was no sign of forced entry to the vehicle. A DeWalt 10-inch Miter Saw valued at $500 was reported stolen from a locked storage container on the side of a building in the first block of Park Street on October 16. The locks on two storage containers had been cut off. A purse and wallet were reported stolen from a vehicle parked in the 100 block of Hemlock Street on October 19. There were no signs of forced entry to the vehicle. 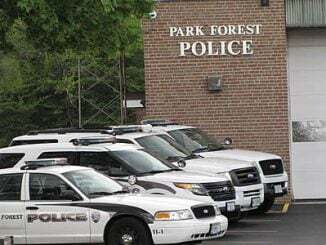 An officer was dispatched to the Park Forest Police Department on October 22 to investigate a report of a theft of a firearm. The complainant said that sometime between 10 PM on Friday, October 20, and 8 AM on Saturday, October 21, someone entered his vehicle and stole the firearm box which was on the rear seat while the vehicle was parked on Ash Street near Court A10. Inside the firearm box was a black Springfield XD .40 caliber handgun, valued at $548, two .40 caliber ammunition magazines with 20 live .40 caliber rounds. The vehicle had been left unlocked. Nothing else was disturbed or missing from the vehicle. A 55-inch Panasonic Television valued at $900, a 55-inch Samsung Smart TV valued at $500, and a Galaxy 5 cell phone were reported stolen during a residential burglary in the 200 block of Allegheny Street on October 22. Copper piping was reported stolen from a residence in the 100 block of Indiana Street on October 27. A silver Apple iPad and a bottle containing prescription medication were reported stolen from an unlocked vehicle parked in the 23400 block of Western Avenue on October 29.